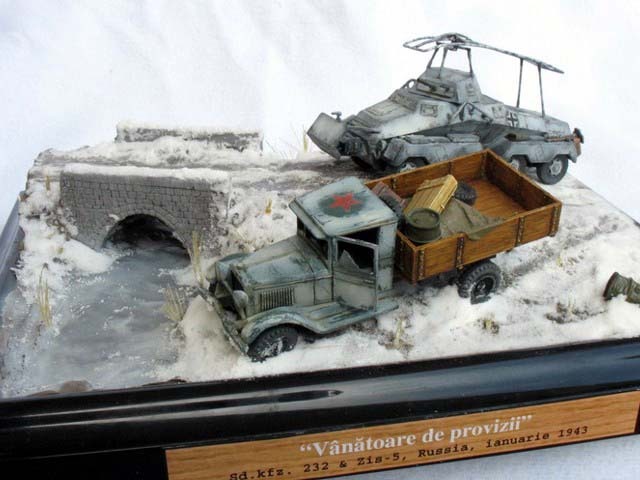 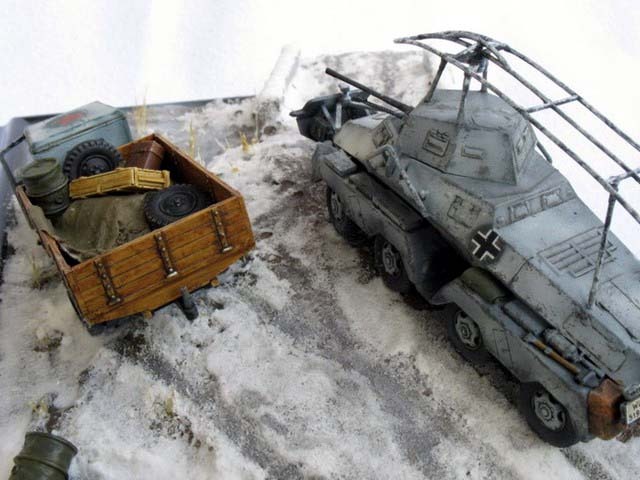 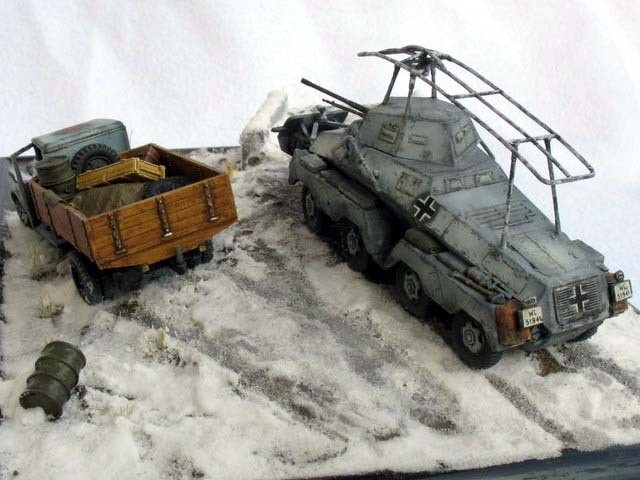 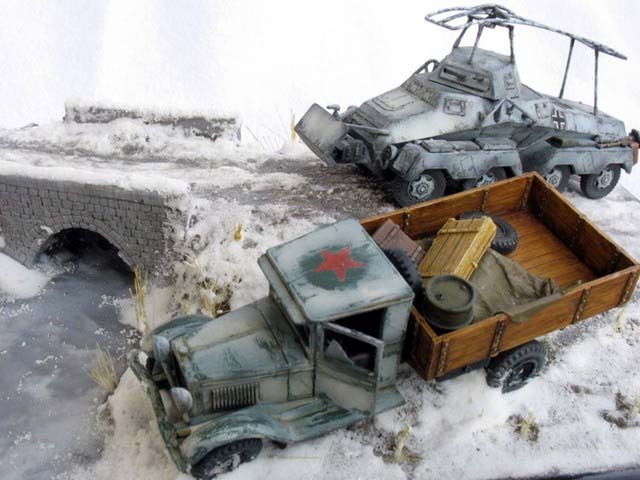 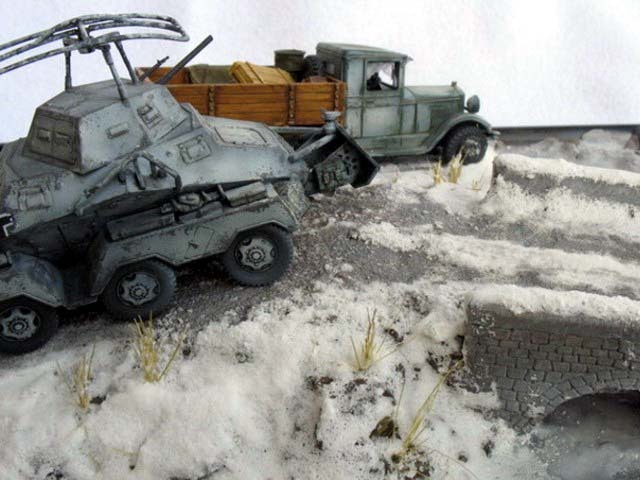 This is the AER Moldova Zis-5 and the RODEN Sd.kfz.232. 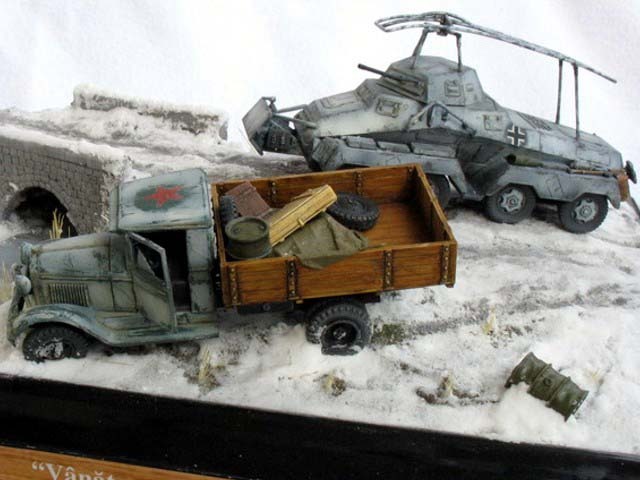 Both models are built out-of-the-box, only additions are some barrels and crates from Details72. 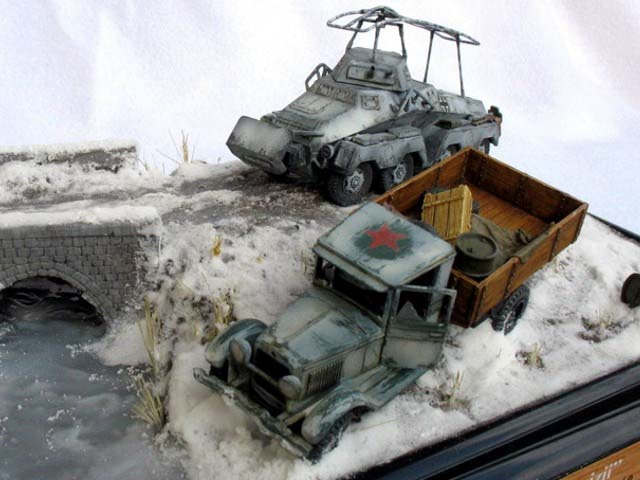 The bridge is simple plaster sculpting of my own. 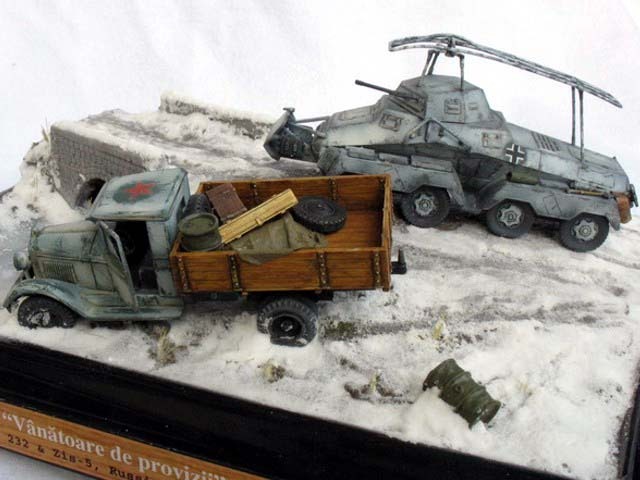 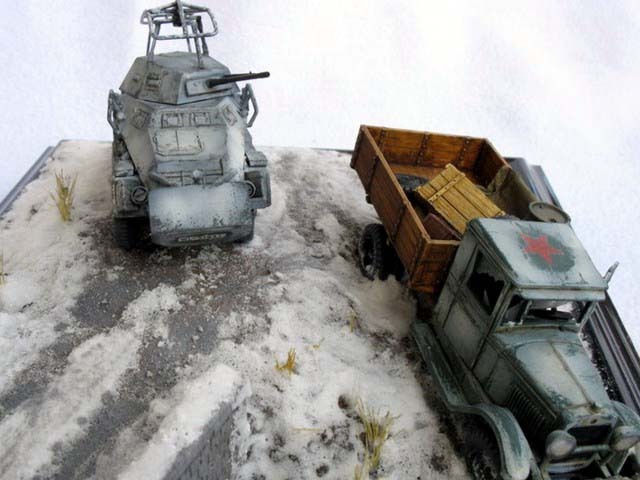 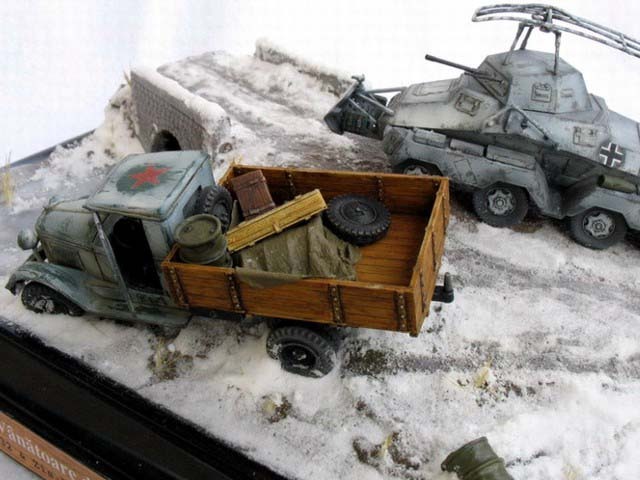 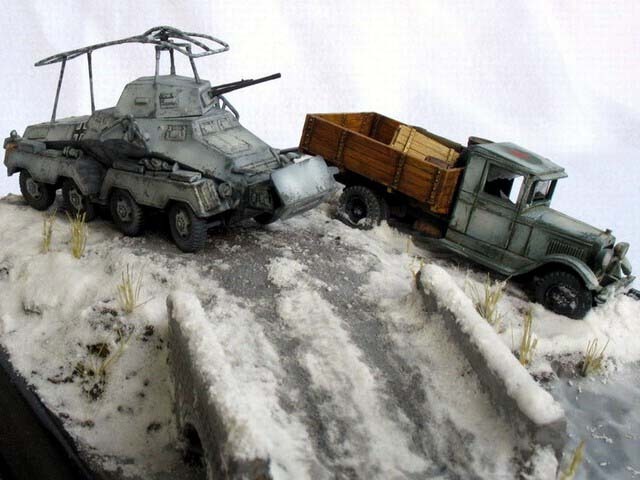 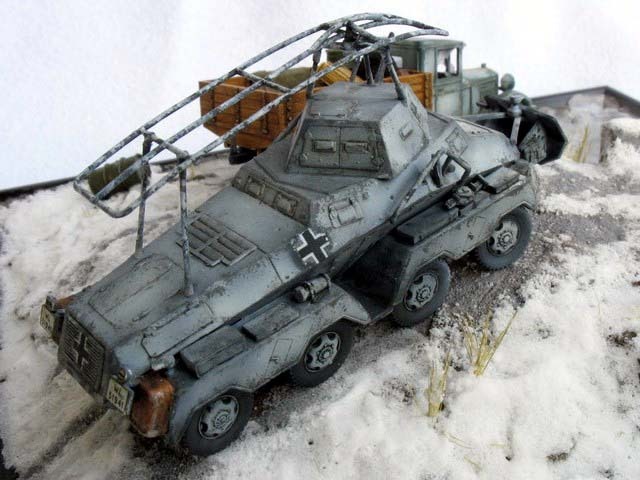 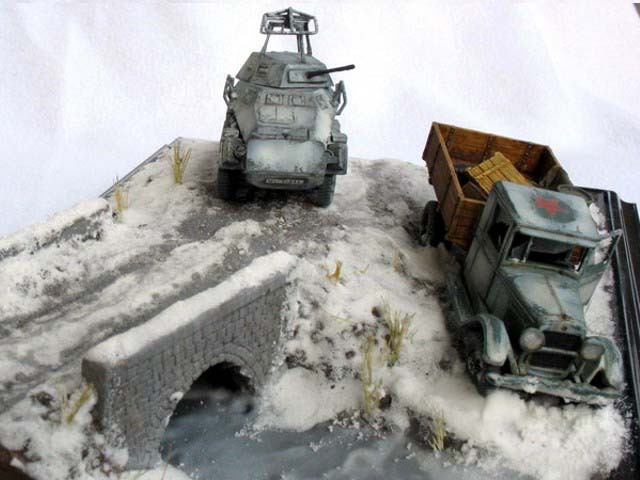 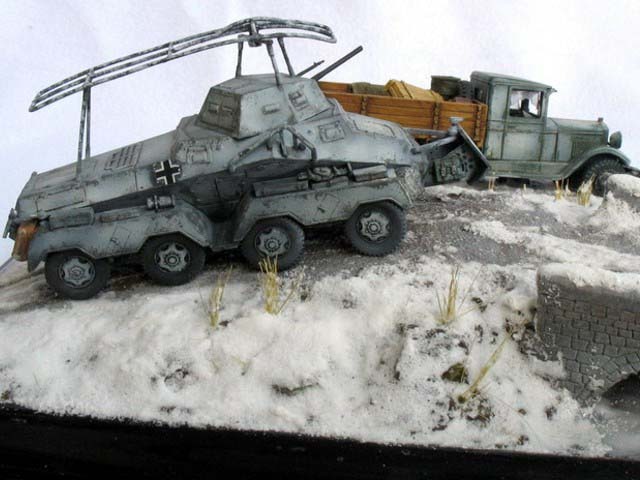 The snow was made using the baking soda technique, the frozen water is plexiglass bits melted in Nitro thinner and painted white by airbrush after hardening.